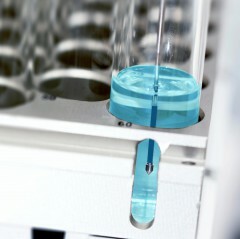 SPME has become one of the most widely used extraction technologies for environmental, food and clinical analyses. 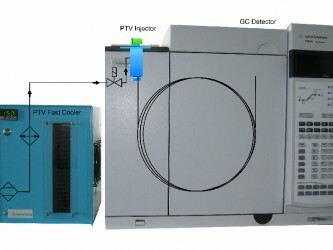 It is well suited for automated sample preparation resulting in reduced time per sample, less sample manipulation and solvent consumption. However, the technology remained almost unchanged with some significant drawbacks, such as the limited mechanical stability and small phase volumes of the fibers. 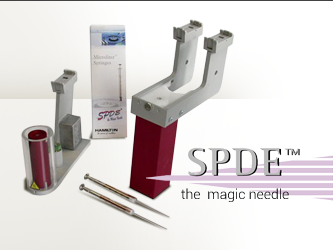 The PAL SPME Arrow (patent pending) is a new technology for microextraction, combining trace level sensitivity with high mechanical robustness. The PAL SPME Arrow has an outer diameter of 1.1 or 1.5mm, resulting in large sorption phase surfaces and volumes. 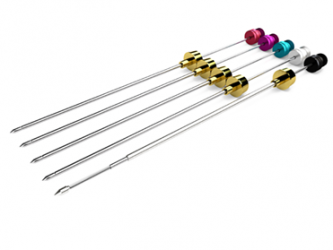 The arrow-shaped tip allows smooth penetration of vial and injector septa. 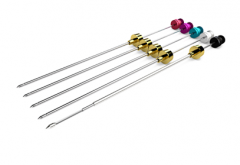 In contrast to traditional SPME fibers, the Arrow design fully protects the sorptive material, minimizing adverse influences and loss of analytes during transfer processes. 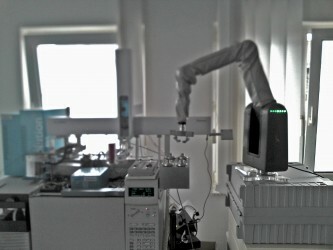 With the PAL RTC and RSI the SPME Arrow sampling is fully automated leading to high productivity. The PAL Heatex Mixer Module optimizes performance for headspace and especially immersion extraction. For more information: Download for "ARROW" broschure below. 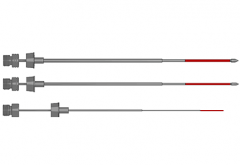 SPME Arrows are color coded and available in order quantities of 1, 3 or 5 Arrows per set.